Former Dutch defender Jaap Stam has revealed his anger towards Manchester United following their shock decision to sell him in 2001. The Red Devils signed Stam in 1998 from PSV Eindhoven for £10.6m, which made him the world’s most expensive defender at the time. 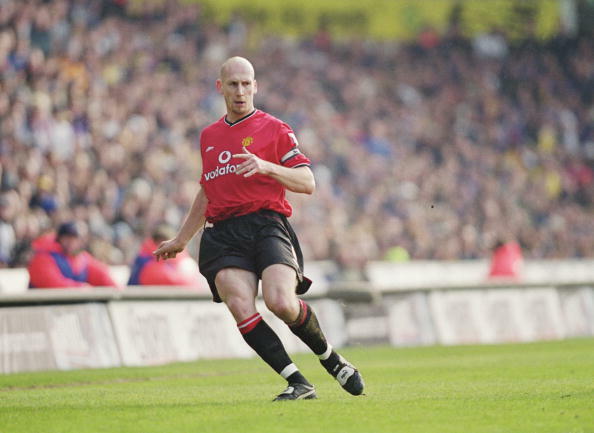 Stam would go to make 127 appearances for United and formed part of the legendary treble-winning squad that won the Premier League, FA Cup and Champions League during the 1998/99 campaign. 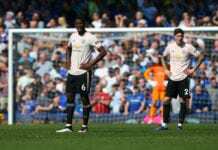 The Dutchman would later help United to two more Premier League crowns before head coach Sir Alex Ferguson broke the news to him in 2001 that he was going to be sold. “It wasn’t long, maybe 10 minutes,” Stam told Sky Sports. “Like in the first meeting to the last, I didn’t have a lot of stuff to say. Of course, my status and personality were different and he knew that as well. Despite Ferguson’s anger over Stam’s remarks that the Scot had tapped him up in his book called “Head-to-Head”, the 46-year-old doubts that was the reason he was sold to Lazio in a £16m deal. “I told my wife I am going to go early in the morning because I want to speak to the manager about what happened,” added Stam. “I heard he wasn’t too happy with everything. I spoke to him and we had a brief conversation. Not the best to be honest. I went back into my car and I went home. “My agent phoned me and he told me: ‘Jaap where are you?’ I said I was in my car. I’d just had a meeting but I went home. “I spoke to him in the car and he told me that they had an offer at Monaco where all the teams from the Champions League came together. They had an offer and they agreed it, and he was going to be playing other players. “At the time they used it (the book),” he added. “It was hard from out of the blue to say ‘OK, we’re going to sell Jaap’ without any reason. Stam now coaches his old club PEC Zwolle in the Eredivisie.